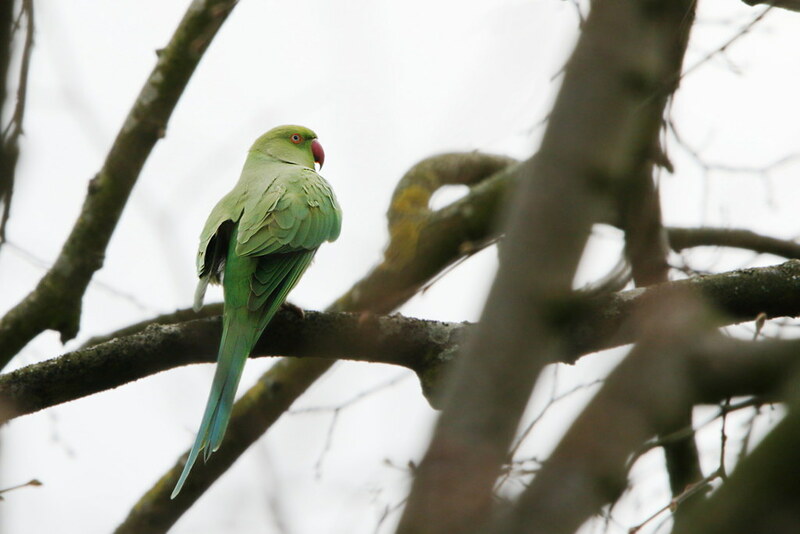 We had a knock on the door this afternoon from our neighbour to let us know that 2 parakeets were in their garden. 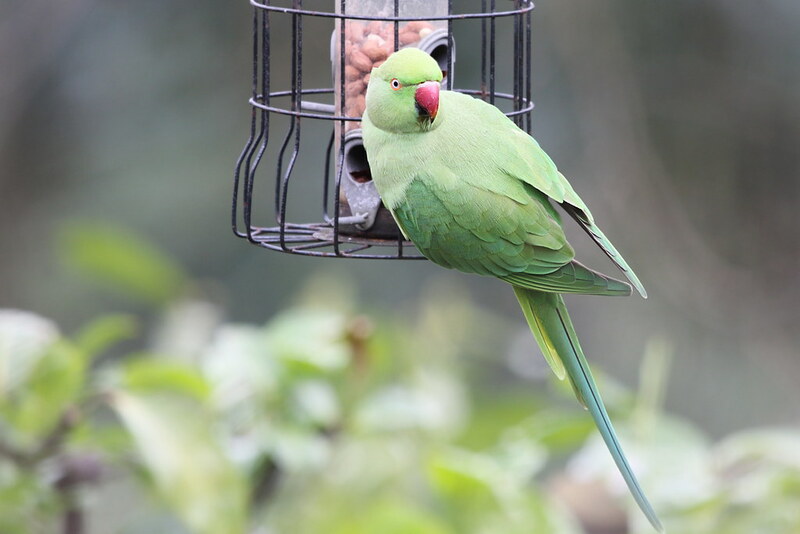 I quickly grabbed my camera, put the long lens on it and pushed my way through some of our bushes and got as close as I could to our fence…. 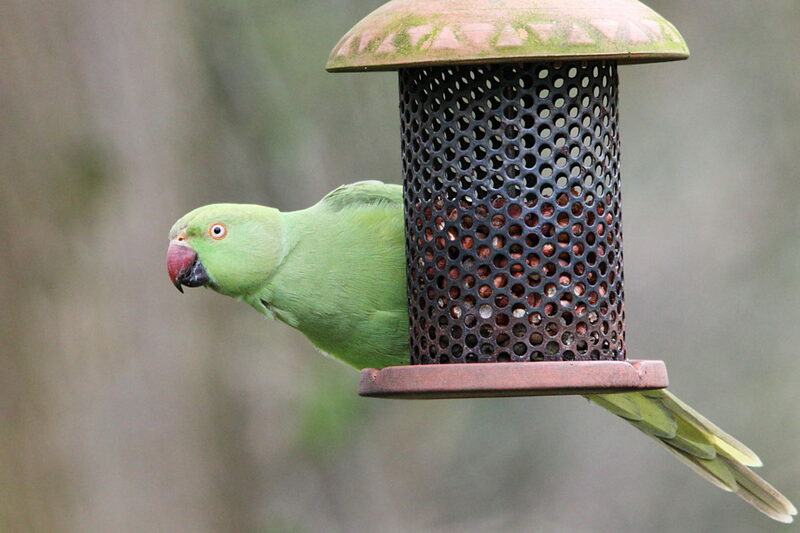 and the shape of their beaks meant that they really struggled to get anything through the holes in this feeder . 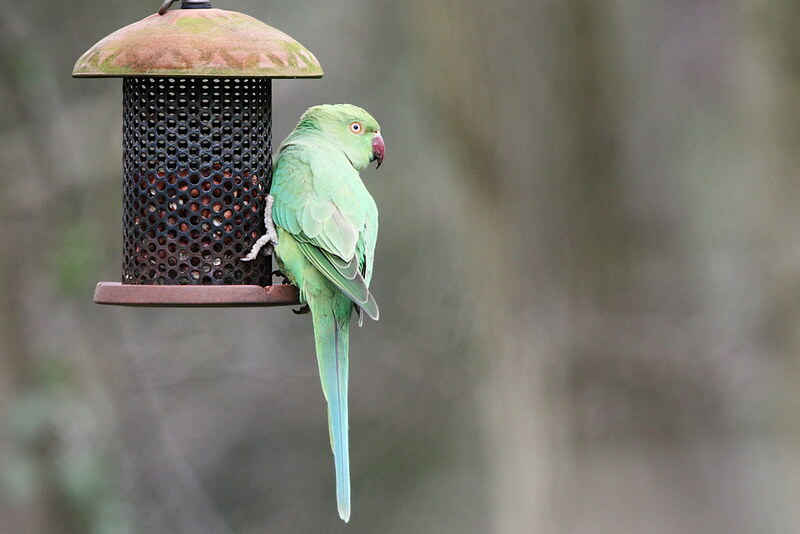 According to the RSPB the male should have a pink collar – hence the name, Ring-necked Parakeet, but I couldn’t see anything like that so perhaps they are not a breeding pair.